A Fantastic Woman, Chile's entry for Best Foreign Film at the Oscars, is a beautiful and heartbreaking drama about a trans woman dealing with the grief of losing a loved one. If you understand fantastic to mean “extraordinarily good,” the titular “fantastic woman” earns her moniker. Chilean actress Daniela Vega portrays protagonist Marina Vidal with such depth and passion that “fantastic” seems like too dull a superlative. Her allies in the film all clearly agree, from her singing instructor to her partner, who each exude awe at her raw magnetism. Unfortunately, Marina’s allies are few and far between. For everyone else in the film, “fantastic” takes on a different meaning. Marina is a trans woman, which means that most of society views her existence as, at best, a hedonistic fantasy, and at worst, a moral affront worthy of violent repercussions. 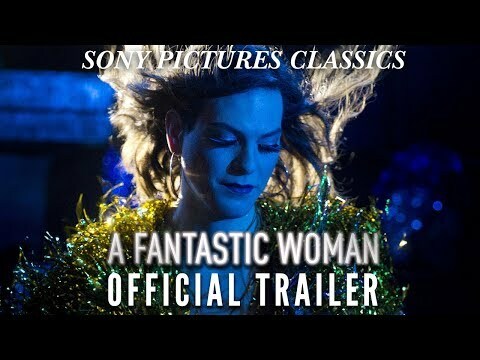 A Fantastic Woman enters a strong pantheon of Hispanic trans cinema, including the classic Bad Education, directed by Pedro Almodóvar and starring Gael García Bernal, as well as the terrific documentary Transit Havana, which chronicles transgender Cubans and their journey through gender reassignment surgery. A Fantastic Woman opens with a Psycho-esque feint. We follow Orlando, a businessman in his late 50s, as he goes about his daily routine and then enjoys a drink at a merengue club headlined by Marina, his partner. After taking Marina out for her birthday and back to their shared apartment, Orlando suffers an aneurysm. Marina rushes him to the hospital, but he dies upon arrival. From that moment forward, the film follows Marina’s point of view as she navigates the repercussions of her partner’s death while being stripped of the dignity of grief. The plot is framed by a beautiful shot of Marina leaning against a hospital wall next to a sign that declares “Área Sucia”, or “dirty area”. The sign is embodied all too literally by the torrent of characters now thrust into her life. Almost as a cruel joke, the first question from the attending doctor isn’t to check on her well-being, but to question the gender of her name. After she runs away from the hospital, she is accosted by police who force her back to the hospital and insinuate that she murdered Orlando. This doesn’t become a central plot point in the film, but just another way for society to dehumanize her. A Fantastic Woman deftly juxtaposes the constant persecution Marina faces as a trans woman with the isolated tragedy of losing a loved one. You can tell that she has faced every injustice before—from being stared at to being dead-named to being threatened with violence—but they are each amplified by the vulnerability of losing a loved one. Allowing someone to grieve seems like such a fundamental form of empathy. For Marina, though, her grief becomes a target of hatred from Orlando’s family. Prior to Orlando’s death, Marina had clearly been viewed as an embarrassment, or as one character calls it, a “perversion.” After his death, this embarrassment warps as she becomes the scapegoat for their pain. Orlando’s family use their own sorrow as an excuse to let loose their deepest bigotries. You see how thin the thread of civility really is. These are the type of people who probably laud themselves for “tolerating” people like Marina. Orlando’s son even goes on what he surely thinks is an enlightened monologue about how our brains process emotion. This is while trying to kick Marina out of the apartment she shared with Orlando, and right before he shoves her against a wall in a show of masculinity that can only be viewed as a kind of sexually-motivated violence. Orlando’s ex-wife is perhaps worse, albeit in a more subtle way. Her confrontation with Marina is the pivotal scene of the movie. In processing her own grief, Orlando’s ex-wife spits hate at Marina through a dispassionate sadness, looking at her up and down and trying to reckon with the fact that this was the woman her ex-husband fell in love with. Of course, the ex-wife doesn’t believe that Marina is a woman. She calls her a “chimera”: a fantastical monster with a lion’s head, a goat’s body, and a serpent’s tail. Marina seems to disagree with both of these definitions of “fantastic.” In the spirit of Latin American magical realism, Marina has clearly built up the type of armor you obtain from a lifetime of persecution. Fantasy blends with reality for her. Throughout the movie, she continues to see Orlando as a ghost. There are also two surreal scenes where her environment is clearly imagined, but real to her nonetheless. She also escapes through music, using it as an outlet to detach to a different world. This is certainly not a fantasy in a romantic sense, but one created to cope with the injustice of society. A Fantastic Woman is Chile’s entry for Best Foreign Film in this year’s Oscars, and it’s well deserving of this honor. The newcomer Daniela Vega carries the movie as well as any performance I’ve seen this year. Hopefully this is just the beginning of her film career. 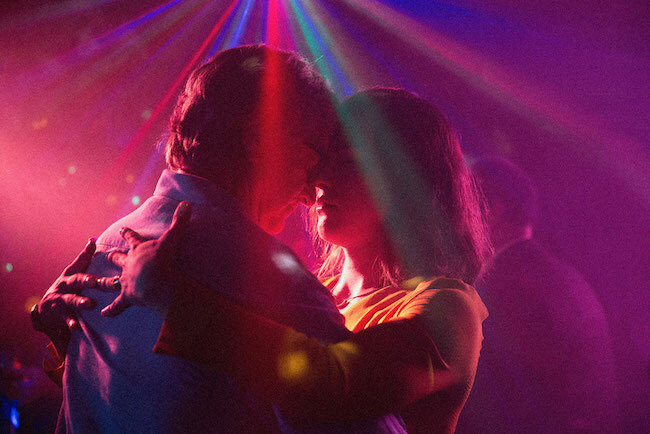 A Fantastic Woman — Chile. Dialog in Spanish. Directed by Sebastián Lelio. First screened April 2017 in Chile. Running time 1hr 44min. Starring Daniela Vega, Francisco Reyes, and Aline Küppenheim. A Fantastic Woman is currently playing in theaters across the United States.